Most small business owners know that Facebook is the undisputed king of social media. Many are surprised to hear that it is also the second largest digital ad network in the world, behind only Google. Every small business owner has probably heard from someone that Facebook advertising just doesn’t work. While advertising on Facebook is not a guaranteed success, there are many companies that have seen tremendous growth using Facebook ads. There are currently over 3 million advertisers spending over $17 billion on Facebook ads. 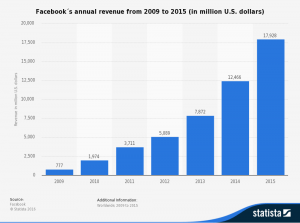 Facebook’s ad revenue continues to significantly rise. With over 2 billion monthly active users chances are your customers are already on Facebook. Unlike other social media platforms, Facebook isn’t just for millennials either. In fact, as of 2014 63% of people aged 50-64 and 56% of people over the age of 65 are active Facebook users. One of the main reasons why Facebook ads have become so successful is how they blend in relatively seamlessly with the user’s experience. Facebook places their ads right into their user’s News Feed and design them to look very similar to other posts. To see why this works we will use YouTube ads as an example. Everyone hates YouTube ads. 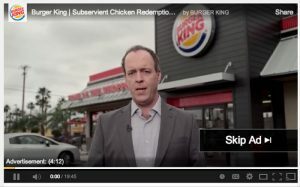 The main reason for this is that YouTube forces us to watch their ads before we get to the video that we want to watch. The ads disrupt our user experience. Who wants to watch a 4 minute ad about chicken sandwiches? Since Facebook integrates their ads into the normal user experience, users can decide whether or not view the ad or simply scroll past it. This makes them much more palatable to consumers. Another reason why you should advertise on Facebook is that they are cheaper than most of their major competitors. The average cost per click (CPC) of Facebook ads in Q3 of 2016 was $0.28 USD. Compare that with Google Adwords’ average CPC of $2.32 USD in 2016 and it’s easy to see why most marketers consider Facebook advertising to be the best way to reach a ton of people for not a lot of money. Facebook is constantly acquiring data from their users. New data is acquired every time a user updates their profile, likes a page, watches a video or joins a group. With all of this information, Facebook can build very detailed profiles for each of their users. Using these profiles, Facebook is able to serve highly targeted ads showing products that users are likely to buy, sites they will like to visit or events they are likely to attend. Of all the ways that advertisers can target Facebook users, perhaps none are as powerful as Facebook’s remarketing feature. Remarketing is a technology that allows you to target ads to consumers that have already visited your website. 95% of website traffic leaves without making a purchase. Remarketing gives you a chance to convert some of that 95%. To use Facebook’s remarketing feature first requires adding a small snippet of code (known as the Facebook Pixel) to your website. Now every time a consumer lands on one of your web pages, that snippet of code will load and place a cookie on that consumer’s computer. All consumers that have cookie are now eligible to see your remarketing ads in their Facebook feed. Consumers that have visited your site in the past 30 days. Consumers that have visited a specific page on your site. Consumers that have visited a specific page on your site, but not another specific page (great for targeting consumers that abandoned their car before making a purchase). Another reason why Facebook advertising works is its incredible versatility. 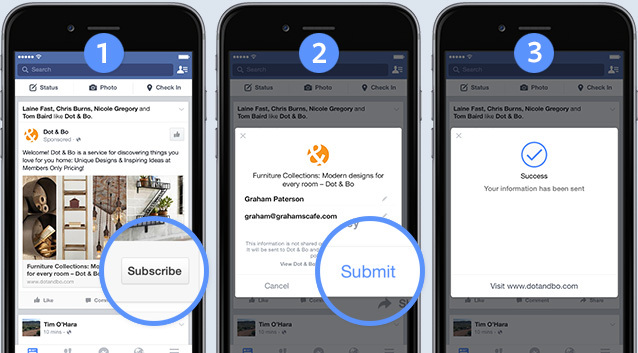 Facebook currently allows you to create a variety of ads depending on your goals and your desired format. Building your Facebook audience by promoting your Page and boosting your posts on Facebook. Increasing downloads of your mobile app. Collecting leads for your business with lead forms built right in Facebook. Along with Facebook itself, you are also able to display your ads on Instagram and the Facebook Audience Network. Audience Network is a network of over 1 million mobile websites, apps and games that is second only to Google’s ad network in terms of size. Along with their standard image and video ads, Facebook also offers two unique ad types that are worth discussing in a little more detail; lead ads and canvas ads. Lead ads allow you to collect leads directly from Facebook. After clicking on a lead ad, consumers are shown a form that has been prefilled with the information that they’ve already shared with Facebook. They then review and edit the information, if necessary, and submit the form to claim your offer. The real genius of lead ads is the prefilled form. The fact that the consumer doesn’t need to fill out the form themselves makes claiming your offer very easy. The easier something is for the consumer, the more likely they are to do it! Canvas ads are the latest ad format released by Facebook and are seen by many in the advertising community as the future of mobile advertising. They create a unique, immersive experience using a combination of text, images, videos and more. When clicked on, canvas ads open up and take over the full screen of the consumer’s mobile phone. The consumer can then scroll through the different pages of the ad, swipe though image carousels or view a video. The exact format of canvas ads is completely up to the advertiser, leading to some truly unique experiences. As we’ve previously discussed, Facebook’s organic (free) reach is on the decline. A combination of increased competition and a change in Facebook’s ranking algorithm means that your posts are only being seen by a tiny fraction of your followers. To properly reach your audience now requires spending a little money to promote your posts. So why should you advertise on Facebook? As a small business owner, understanding Facebook advertising is essential to creating a successful social media strategy. With such a wide audience and so many ways to advertise, every business can benefit from advertising on Facebook. With proper planning and the right targeting, Facebook advertising can be one of the cheapest and most effective forms of online advertising available to small businesses. 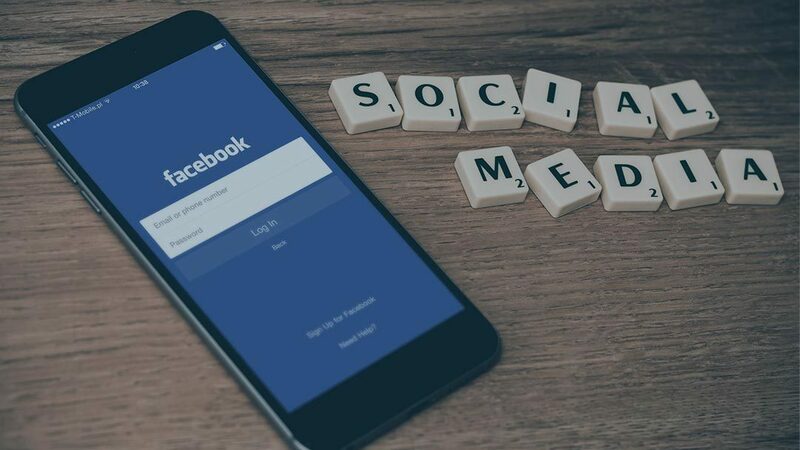 If you’re still unsure about how to use Facebook to effectively market your small business, check out our article on the 7 Facebook features you should be using.